Samsung Galaxy A7 is now officially available in India for INR 23,990. The higher-spec variant for the feature-loaded smartphone costs INR 28,990. The former comes with 4GB of RAM and 64GB internal storage while latter offers 6GB of RAM and 128GB internal storage. If not so obsessed with RAM, buyers can consider going for the 4GB variant and add more space to their phone through microSD card slot supporting up to 512GB of memory. 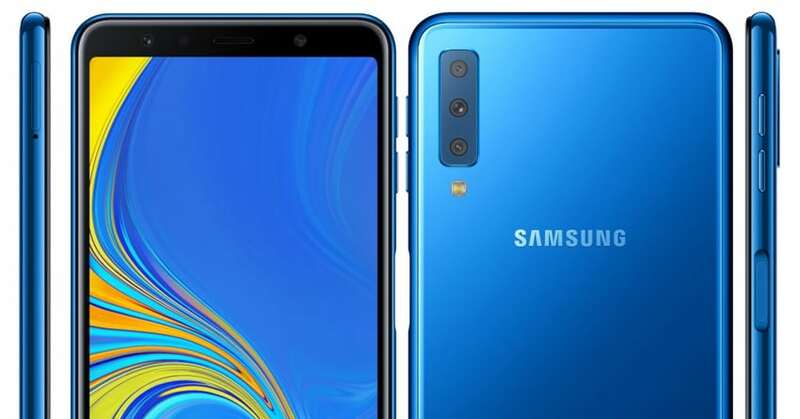 Flipkart is the exclusive retail partner for Samsung Galaxy A7, also taking into consideration that they have their own Samsung Shop for buyers shopping online. 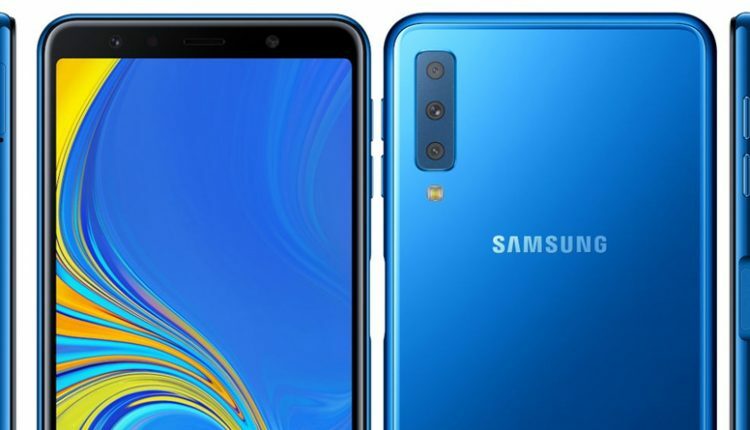 The first phone of its segment to offer triple lens camera, Galaxy A7 uses a beautiful 6-inch Super AMOLED Infinity display with full HD+ resolution. The front side stays black while buyers can choose from the black, blue and gold finish on the mid-range smartphone. Buyers using HDFC bank credit and debit card will get additional INR 2000 cashback on the phone. The offline availability for Galaxy A7 will start on September 29 while online begins on September 27. Coming to the processing power, Samsung uses a powerful Octa-Core Exynos 7885 processor with Mali-G71 GPU for ease of app multitasking. The phone runs on Android 8.0 and supports dual SIM option. Another special feature on Galaxy A7 is the use of side-mounted fingerprint sensor, right where the user wishes to put his/her thumb. It comes with 4G VoLTE, BT 5.0, Dolby ATMOS sound, and a 3300mAh battery with fast charging as standard. The front facing camera is a 24MP unit with f/2.0 aperture while the rear gets a 24MP primary camera with supporting 8MP ultra-wide lens and 5MP depth-sensing camera with f/2.2 aperture. The front misses on an LED flash while the rear gets an adjustable LED flash with Pro Lighting Mode and AR Emoji. 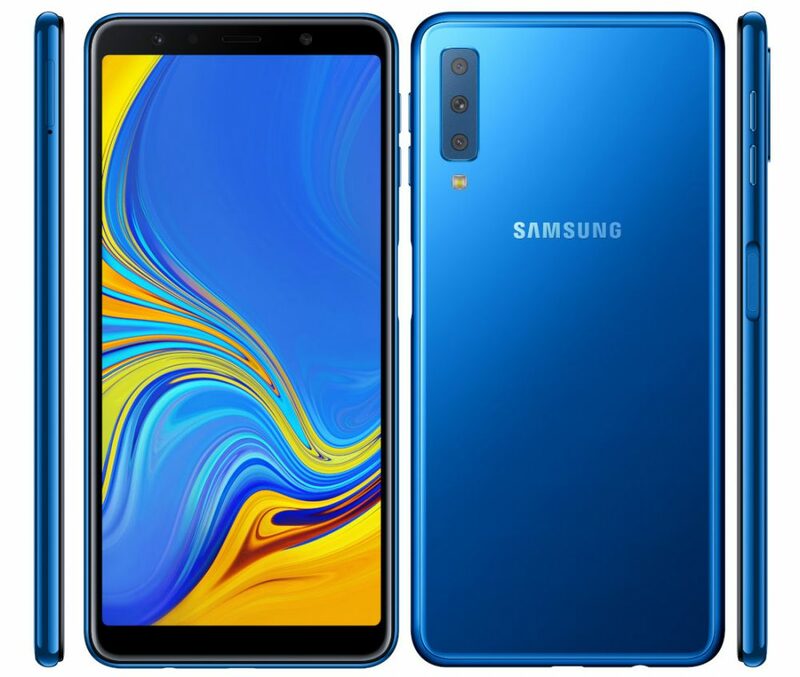 Click here for complete specifications of Galaxy A7 (2018).